For the last 10 years, Langevin Forest has been selling ExodeckTM balau tiles. Renowned for their rich colour, these exotic hardwood slabs are resistant and weatherproof. Each slab measures 19 5/8 in x 19 5/8 in. 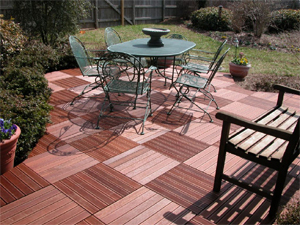 and is fabricated of lightly grooved slats which helps to make them slip resistant. These tiles can be used for building a variety of exterior structures like terraces, sauna, spas and many others. They are an interesting option for condo owners looking to add an exotic warm look to their concrete balconies. To preserve the beauty of your tiles, Langevin Forest recommend Penofin Exterior Finish for exotic hardwoods (product detail). 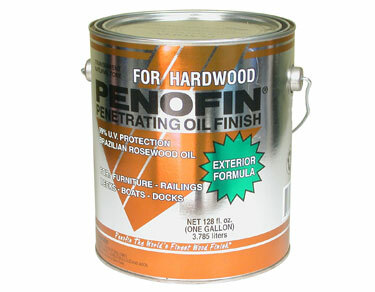 This product is specially formulated to penetrate dense hardwoods and give a greater protection to your woods.